Can you think of an organisation that doesn’t believe it must improve? If you know of one, there’s a chance it won’t exist for long. Organisations operate in one of only two states – improving or dying. But how many organisations have a formal program for Continuous Improvement? And for those organisations that do focus on continuous improvement, how many are successful? 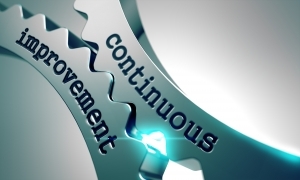 Deloitte Consulting, in their excellent article ‘Building a Culture Of Continuous Improvement In An Age Of Disruption’ (1), suggests that less than 60% of continuous improvement efforts are successful. Well, formal continuous improvement programs aren’t easy. If you know anyone who’s worked through a Lean or Six Sigma Program, they’ll tell you it requires a major commitment. And if it isn’t supported at the very top levels of the organisation, the chances of success are slim. When these programs are well-run, they produce great results. But not every organisation can commit the resources required to make these programs successful. Continuous improvement efforts usually start with processes. The belief is that if the processes are right, then everything else can follow. But processes have three problems as the foundation for continuous improvement. First, they’re very detailed. You may have hundreds or even thousands. It’s easy to get lost in the detail. The old adage of ‘can’t see the forest for the trees’ is apt. Second, processes are static. They emphasise the way you do things today. And it’s hard to break out of current-process thinking. As a result, you tend to tinker with existing processes rather than inventing new and better ones. Third, processes aren’t results-focused. They prescribe what to do, not what to achieve. But continuous improvement should deliver improvements in what you achieve. A focus on achievement required is better. So if not processes, what should you focus on for continuous improvement? The answer is outcomes. And a particular type of outcome called ‘execution outcomes’. 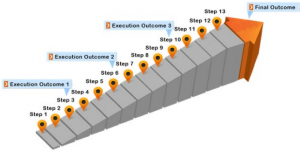 A group of processes or steps leads to an execution outcome. Then the next steps lead to the next execution outcome. And so on. A typical organization will have only 6 to 10 execution outcomes, which keeps things simple. The purpose of continuous improvement is to improve execution capability. We define execution capability as the ability to execute current strategies. Execution capability has four elements – processes, systems, people skills and partners. These four elements are interdependent. For example, if you have great processes but poor systems, your results will suffer. If you have great systems, but inadequate people skills, your results will suffer. Because of this interdependence, you should consider the four elements of processes, systems, people skills and partners simultaneously. You should have HR, IT, process and partner people along with operations people in the room to agree to a plan. They all need to sign up for the same plan. Use the framework of execution outcomes to identify the biggest opportunities for improvement in execution capability – the biggest gaps. You’ll then need a simple test to prioritise your focus. You want to fix gaps that will produce the biggest returns. But fixing them has to be practical, so you also need to consider ease of implementation. Those two factors provide a great way to prioritise the gaps you’ll focus on. 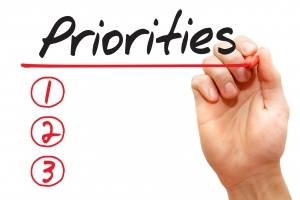 You’ve prioritised the gaps in execution capability to focus on. Now you need a plan. You can start by generating ideas for how to bridge each gap. You’ll come up with far too many ideas to implement. You should rank the ideas using criteria that make sense for your organisation. Once you’ve ranked the ideas, you can choose the ideas you’ll work on. You still have everyone in the same room, so everyone helps choose. Each department understands the priorities. Even if they have a pet project, if it doesn’t make the final plan, they understand why. You now have a working plan to drive continuous improvement for the foreseeable future. But it doesn’t finish there. You’ve done a great job coming up with an immediate action plan. But continuous improvement is an ongoing program. You need to formalize the ongoing approach. First, agree to a governance structure. You need a senior level governance body to monitor progress and make ongoing decisions. During implementation of the action plan, the governance board will make decisions on expenditure, resource allocation and dealing with changing circumstances. They will also oversee the next round of improvement planning. Second, make the focus on execution outcomes and cross departmental cooperation part of your DNA. Ensure you set and measure KPIs for each execution outcome. Ideally, change each department’s bonus plans to reward success of execution outcomes. Review your position descriptions to reflect the focus on execution outcomes. A great plan is worthless if you don’t implement it. Continuous improvement involves change. Effective change management is a must. 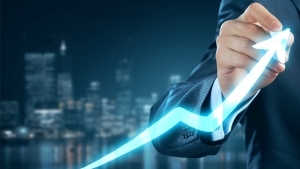 A change management methodology will increase your success. If excellent programs such as Lean or Six Sigma are too much, commit to a simpler program. Remember, if you’re not improving, you’re dying. In today’s business world, stasis is not an option. ‘Generation 3 Engagement – Customer Success for IT Vendors and IT Departments’ to be published late 2017. (1) Deloitte Consulting LLP, ‘Building A Culture Of Continuous Improvement In An Age Of Disruption’, 2014.